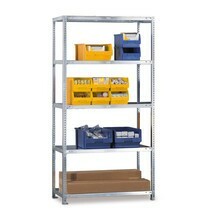 Stable and flexible rack expansion "Made in Germany"
Instead of £324.00. 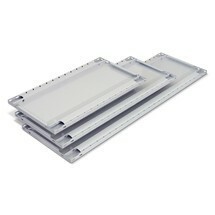 You save £16.20 due to the online discount . 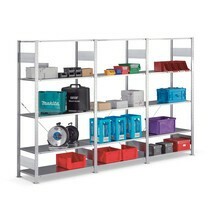 If you require a robust and easily expandable rack system for your operation, we recommend the META shelf rack with a shelf load of 150 kg. 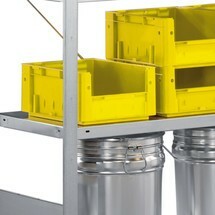 Thanks to the double-row construction, you can access the stored goods from both sides. 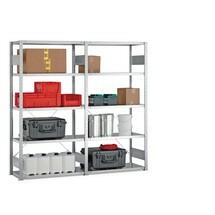 Any workshop or manufacturing business will know the value of an intelligent rack system. 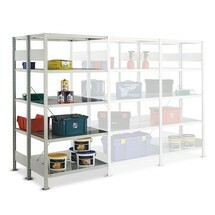 Metal is the material of choice since it guarantees stability and durability. 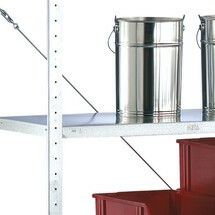 A practical feature of the META shelf rack is its double-row construction. 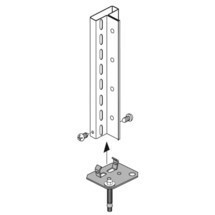 This allows you to access the shelf contents from both sides. 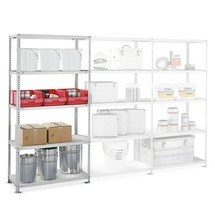 The rack rows are joined "back-to-back", allowing you to make optimum use of the available space. 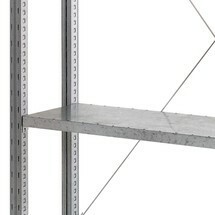 The shelf rack is erected in a flash thanks to the boltless assembly system. 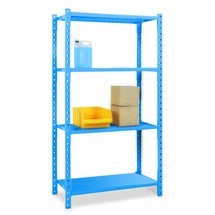 Holes are positioned at 25 mm increments so that you can adjust the height of the shelves as required, thereby adapting them to the size of the stored goods. 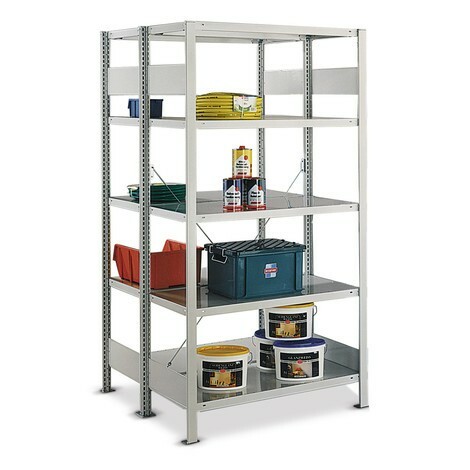 Order the META shelf rack as a light grey, double-row base unit with a shelf load of 150 kg and solid construction from our shop today.